Bloomington-based Upland Brewing Co. has transformed the 113-year-old Columbus, Indiana, city water pump house into its newest brewpub. The pump house, which provided water and electricity to the city until 1953, will now provide beer and food as the Upland Columbus Pump House. Overlooking the White River in Columbus’s Downtown, the brick structure was originally designed by architect Harrison Albright. Upland worked with local architect William Burd to reimagine the space, which was falling into disrepair since it was last occupied in 2011. The Upland staff and Indiana Landmarks were both consulted on the project in order to produce a historically sensitive and well-functioning brewpub. Notably, the basement of the pump house was once used by famed Swiss artist Jean Tinguely to produce his 30-foot-tall epic kinetic sculpture “Chaos No 1.” The Upland Columbus Pump House has maintained much of the building’s industrial aesthetic while providing everything one would expect from a contemporary craft-beer pub. An 18-foot, bright red “B” plucked from St. Louis’ Anheuser-Busch brewery will find a permanent home in the beer conglomerate’s first U.S. “biergarten.” The “B” is a relic of the neon Budweiser sign replaced by LEDs in February. 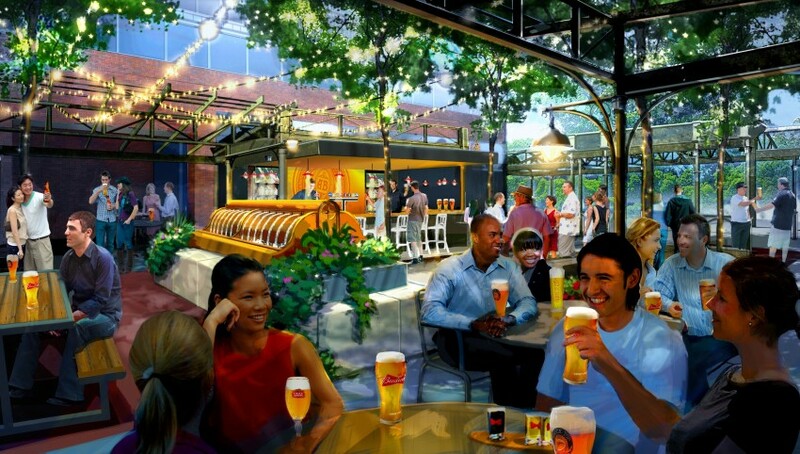 Located adjacent to the brewery’s tour center at 12th and Lynch streets, the beer garden joins what is already one of the region’s largest tourist attractions, drawing 350,000 visitors annually. Five of the dozen U.S. breweries are owned by A-B, which itself is a wholly-owned subsidiary of Belgium-based A-B InBev, but the St. Louis location is so far the only one with a beer garden on tap. 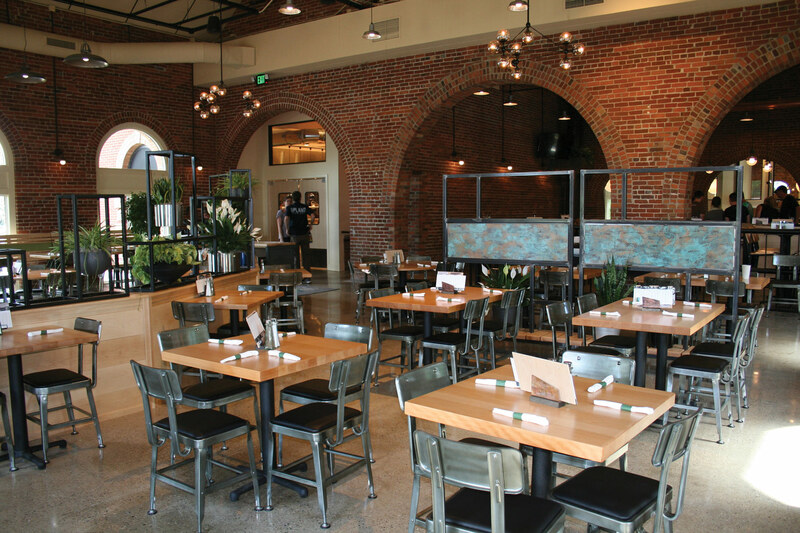 As STL Today points out, the macrobrewer is keeping pace with local craft brewers Urban Chestnut Brewing Co., which opened a 400-seat beer garden in 2011, and Schlafly Bottleworks, who expanded their outdoor seating last year to serve 150 people. 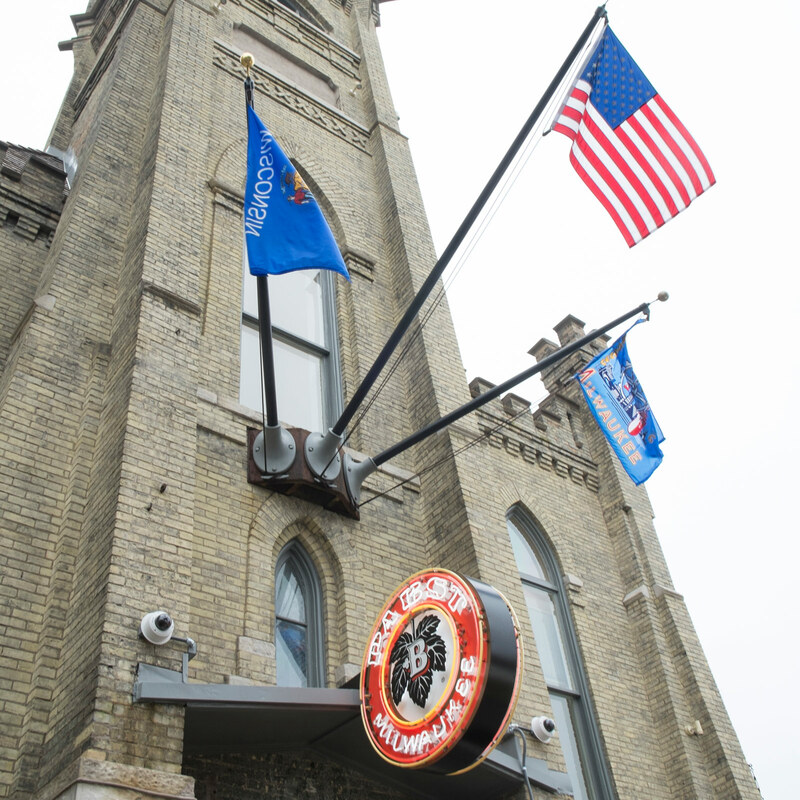 The A-B biergarten will seat 300, and could be open by mid-summer. They will offer light fare meant to complement the 17 A-B beers available on draught, as well as daily Brewmaster’s Tastings. St. Louis earlier this year broke ground on Ballpark Village, a mixed-use development oriented around Busch Stadium.